found on the business-end of huge cranes. The lifting applications vary broadly. industry. 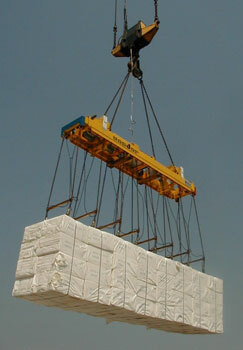 We are making some great lifts moving timber, steel or bagged commodities. We offer a complete line of Vandor lifting attachments, based on standard components. Close cooperation with Stinis means there is a unique, immovable standard of quality. consultancy, engineering, construction, manufacturing and assembly.